Have you ever heard of the 10 to 1 rule? It’s the idea that it takes 10 good things to be said about a company to make up for one negative story. And since it’s only a matter of time before somebody says something negative (regardless of if it’s true or false), it’s essential to build up a good will bank to protect and inoculate your reputation. Luckily, every company has lots of good stories. Unfortunately, few of these stories are recognized internally or shared externally. The real error or threat is in the mindset that many of these stories are too small or unworthy of your effort. Failing to take advantage of smaller story opportunities is one of the most common, and most negatively hurtful things a company can do to their long-term success. 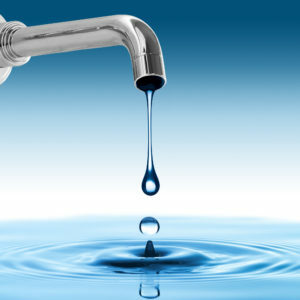 Think of each small news story as a drip out of a faucet. If you collect the drips, you can use the water any way you need it going forward. Compare that to doing one big story where it’s like taking a shower. It feels great when the water’s running but as soon as you turn it off the water goes down the drain. Before long you dry off and forget the experience. Need a more direct example? Let’s say a new restaurant opens in your neighborhood. If the first thing you hear is negative- like that the food was bad or the service was terrible- you’re never going to walk in the door. But instead at first you hear lots of positive comments from various friends and neighbors (that they liked the food, enjoyed the ambiance, had good service, etc.,) before hearing about a negative experience, you’re still open to try the restaurant out yourself. Granted, it may not be the first restaurant on your list anymore, but you’re still willing to walk in the door. How about a sports metaphor? Too many PR Pros are constantly trying to hit home runs. I get it, I love hitting a home run too. But the problem with home runs is that even the best players strike out far more often than they knock it out of the park. Change the strategy. Instead, focus on hitting lots of base hit singles. Play “small ball” and run up the score. Or how about a more selfish reason: Would it be better for you professionally, as well as for your company, to have multiple stories listed on your website? Even if those stories are from smaller and mid-sized media outlets spanning six months? or would you prefer one story link from a prime media outlet during that same time period? Oh, and don’t forget the benefit to your sales team. Multiple articles gives them more examples to add to collateral materials and sales kits providing more third-party validation of your company. To be clear, I’m not saying to avoid big story efforts. Big stories are great and should absolutely be part of your PR goals. They just shouldn’t be your entire PR goal. Stop ignoring or minimizing the importance of small stories and the power and protection they provide companies. The added reach and frequency small stories collectively provide your company will create the desired echo chamber for your target audience. So think small, to make a big impression.